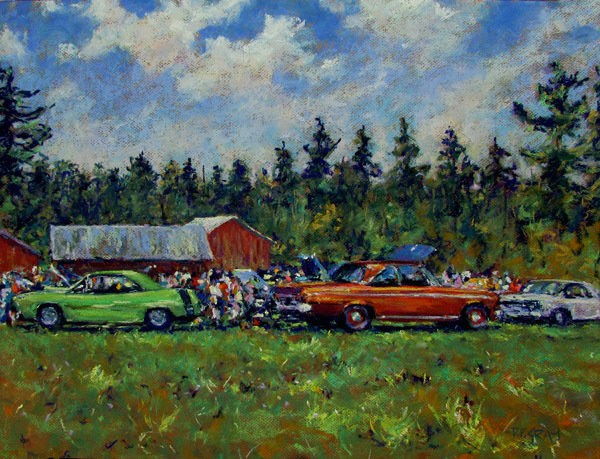 Despite not having attended kindergarten, Dan managed to graduate high school with the top honours in auto shop! 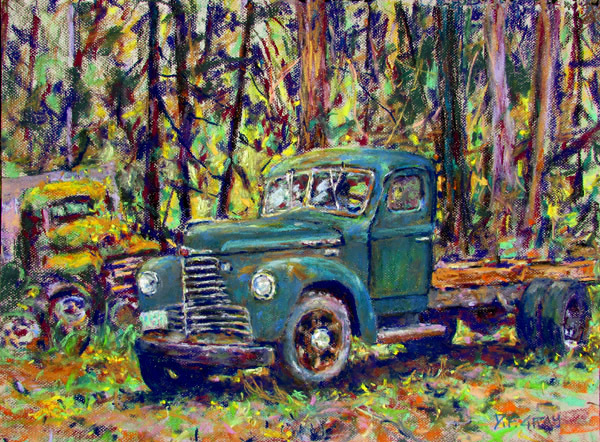 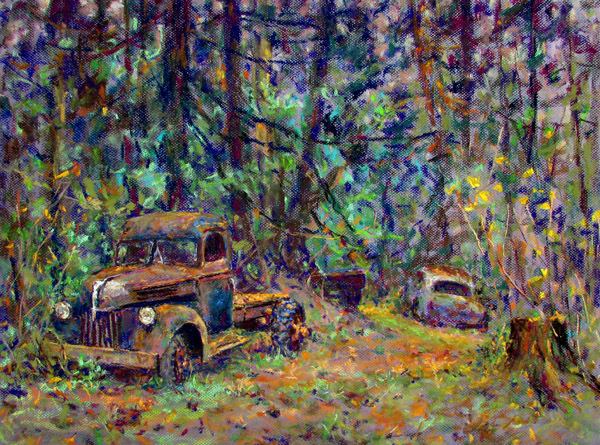 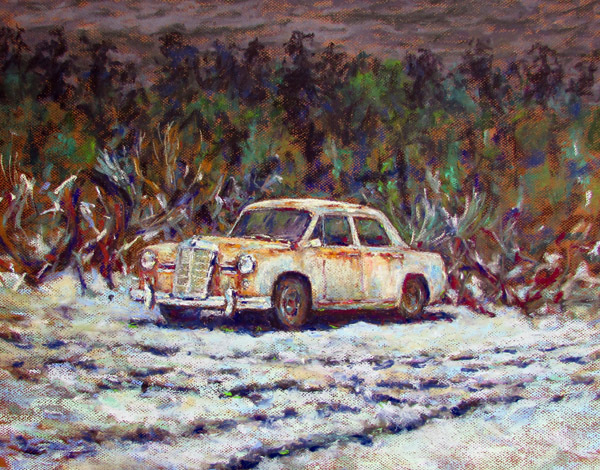 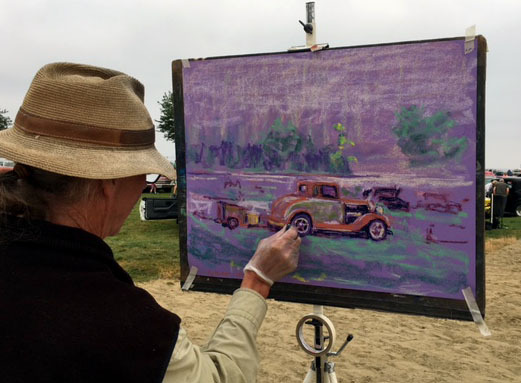 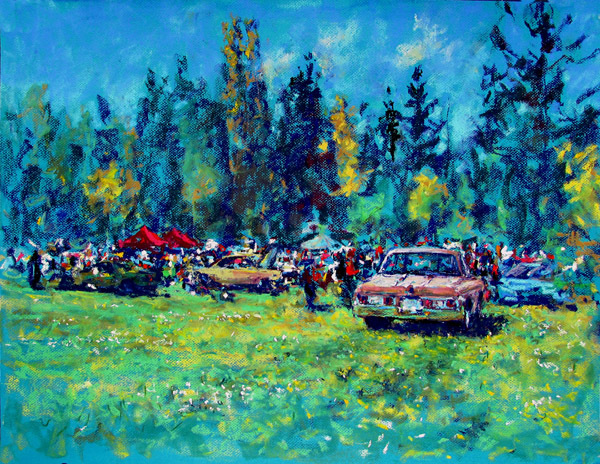 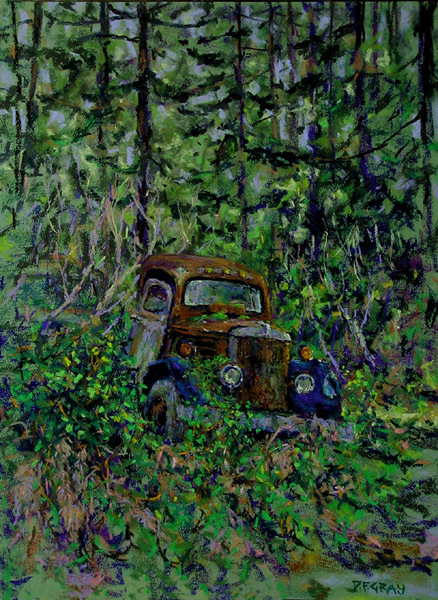 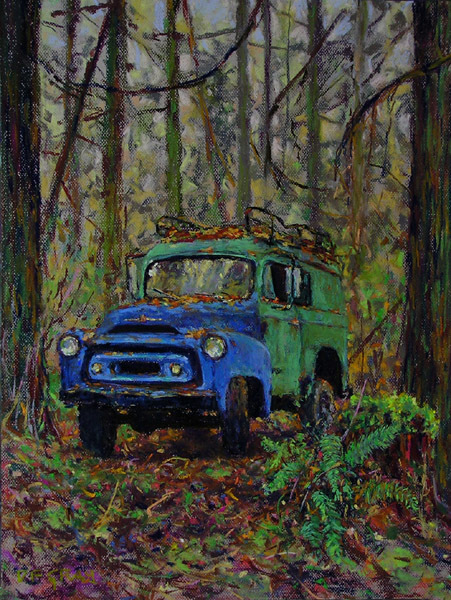 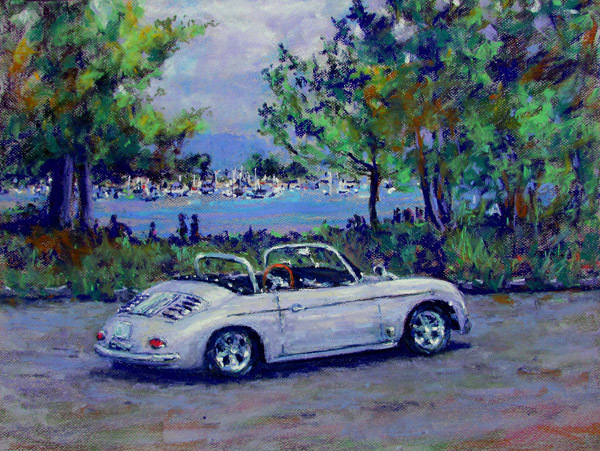 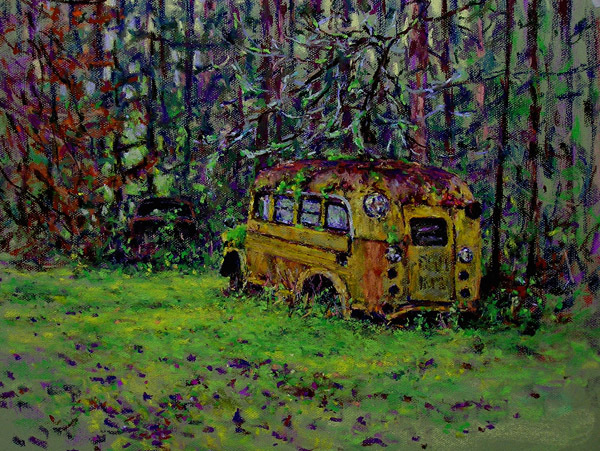 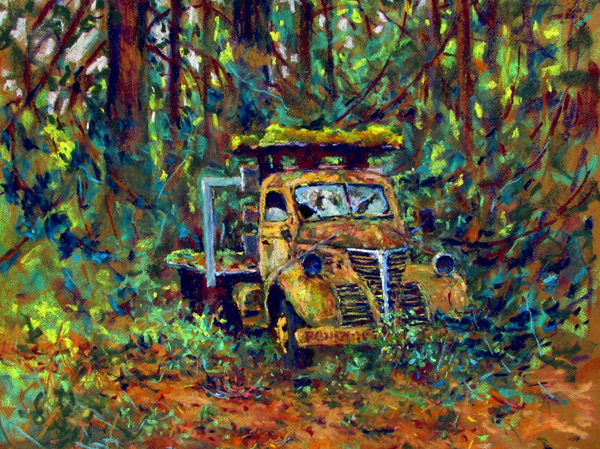 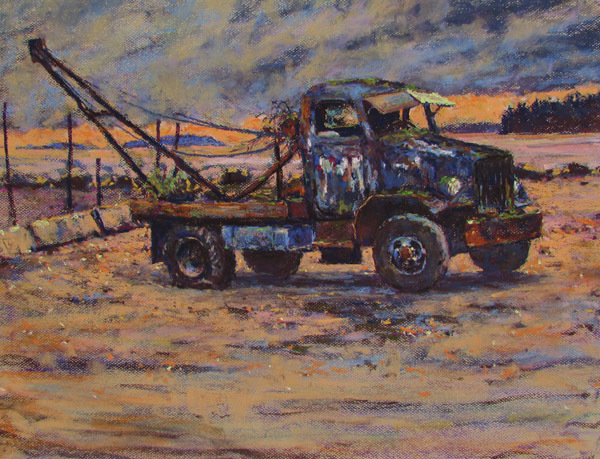 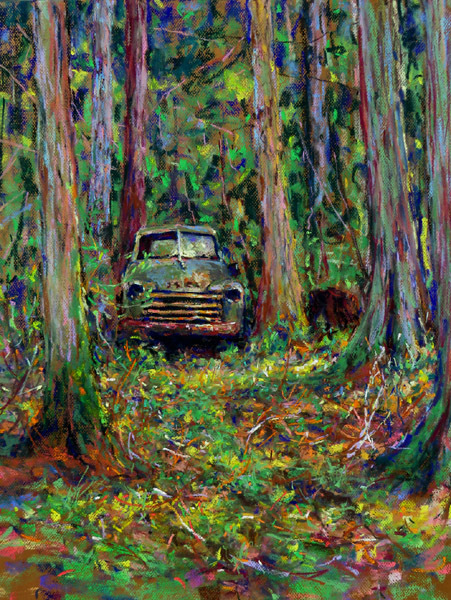 a 1956 International 4x4 in our woodmans lot, it was found on Hornby Island years ago, pastel from life(in 2 sittings) 24 x 18"
'solstice with the bear' 18 x 24" pastel from life $1750. 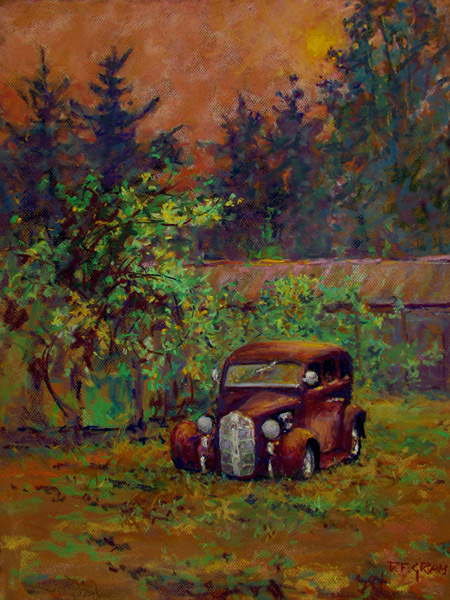 upon arrival at the show I find this 1947 Indian Chief (the same year as me) I looked around at the cars but was called back to the bike. 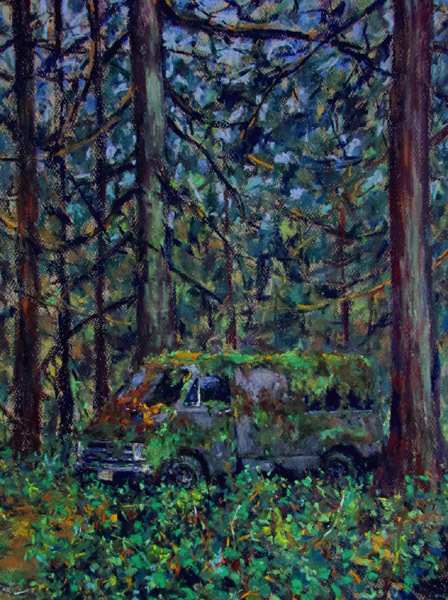 My Dad a Canadian Navy man in WW2 was an Indian rider and I was named after his best friend another Indian rider so to paint this seemed right. 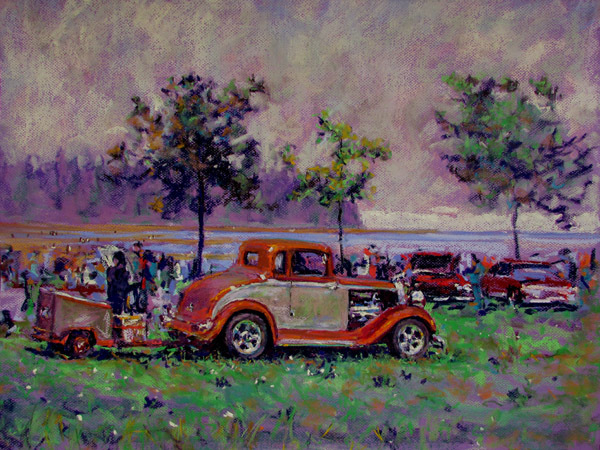 While painting the local Piper band set up right next to my easel to play and my Dad was a piper! 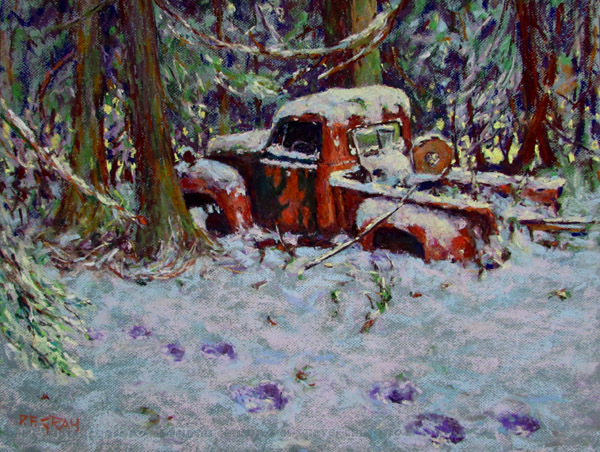 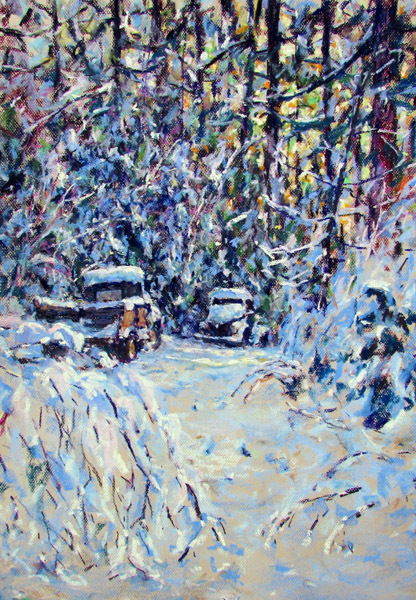 'the Spirit of Terry Gray' pastel from life 18 x 24"
Dec 8, back in the woods with snow, Errington, 24 x 18"